Yesterday I spent a little time reading through our book, “I Do Again”. Many people have asked me if we have a companion devotional or journal to the book, so I am contemplating writing one. I have been contemplating many things lately. My dad died February 27th, just 3 weeks ago. It’s been tough, but I am thankful to have traveled to Ohio three times in February to be with him and my family (mom, my two brothers and two sisters), as we watched him experience his last days. I can’t thank God enough for the unbelievable time I got to spend with him, even in his last hours in hospice. His humor and personality still shown through, even though the cancer had overtaken every ounce of him. I had so many flashbacks of times with my dad as I sat there and held his hand as he told me he was ready to go “home”. There were so many to remember……. As I read on page 5 in our book, “August 21, 1992 was the worst day of my life”…..I remember my dad’s reaction when I told him I was divorcing Jeff. “What?”….he said….”not you and Jeff. What could be so terribly wrong?” I didn’t tell him I was in the middle of an affair, but did share with him I did not think I loved Jeff anymore. He asked me to go have a cup of coffee, just he and I, and began to share with me the hardships he and mom had had over the years (and he expected more to come in the future). He then began to tell me that marriage is hard work and I should not give up. I didn’t take his advice…………… thus resulting in “August 21, 1992 was the worst day of my life”. It was the day my divorce was final. And as I read through Chapter 1, I am thankful to know the end of the story; Jeff and I reconciling after 7 years of divorce! But I never forget the pain of that day and never want to experience that depth of pain again. Where are you in your marriage today? Are you contemplating divorce in your heart? Have you rejected advice from others like I did from my dad? Before you take the final steps of ending your marriage, I encourage you to read our book, I Do Again. “God can do immeasurably more than you could ask or imagine”, Ephesians 3:20. 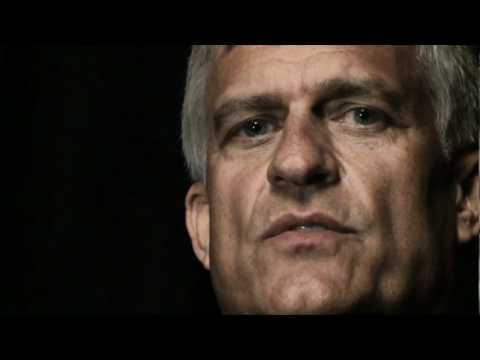 Check out our video on I Am Second. I read your book almost a year ago. I couldn't put it down it was so good. My wife and I have been separated for over a year now and the Lord used your book to show me that He does work miracles! Thank you for writing your story. I look forward to the day the Lord will use our (My wife and I) story! Genesis 50:20-21…How could this apply to marriage? ?